The Rothesay Joint Campus is one of the organisations that hopes to benefit from closer connection with the Buteman. One of the most important elements of my job since I came to Bute, and one of the most rewarding, has been forging and reforging connections with various groups on the island. A close connection between local newspapers and local people has been a cornerstone of news production as long as it has existed. That is no less true today, even though newspapers the world over have fewer and fewer resources to maintain these connections. Journalists, like politicians, have to maintain links with the people they serve. 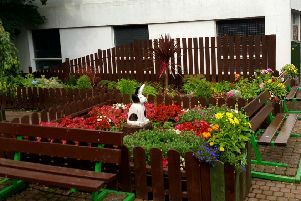 An example specific to the island is the Rothesay Joint Campus, which has featured regularly in the Buteman over the last few weeks, with stories about Rothesay Academy pupils’ achievements as well as a piece on the new campus principal Barry Wilson. The first of these came about because the school reached out hoping to publicise the results of the S4 and S5 students in their recent exams, and in discussions with the new principal he expressed his hopes that the campus could improve communication with the wider community through avenues including the Buteman. It has been instructive to get to know the representatives of many other groups too, including Fyne Futures, the Bute Island Alliance, For Bute, the Rotary Club of Rothesay, Bute Island Radio and the Bute Community Council to name a few. They have been an invaluable resource for information and quotes, and a few of them have contributed to the paper in more direct ways, while some others hope to in the near future - all of them are very much valued.